In today’s economy, it’s especially valuable to have options available for citizens to buy, sell, or trade goods. Craigslist, Facebook, and other online platforms are a great way to sell that car you’ve never gotten around to fixing, or buy a gently used lawnmower for a reasonable price. However, some people are understandably skeptical about inviting a stranger to their home to make that exchange, or to venture into an area with which they’re unfamiliar, with a pocket full of cash. All over the country, ecommerce safe zones are popping up. Numerous law enforcement agencies are providing a safe place to make those exchanges. 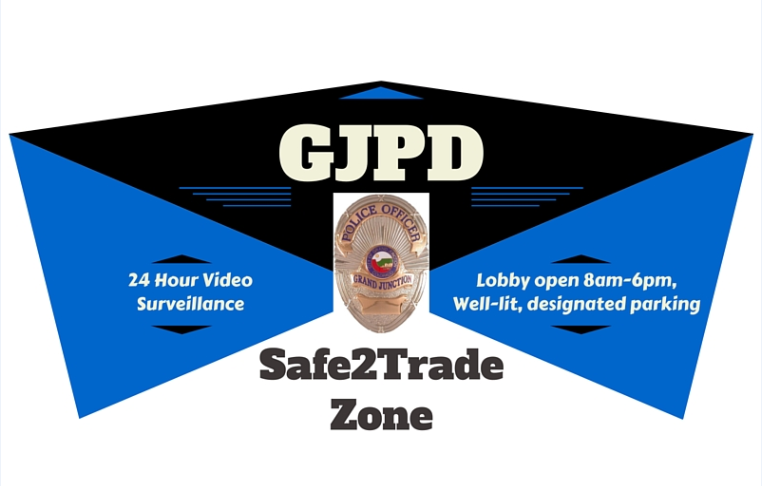 The Grand Junction Police Department is happy to start providing that service to our community, as well. The process itself is really simple. Our lobby is open from 8am to 6pm, seven days a week. We also have two well-lit spots in our parking lot that we’ve designated for before or after hours trades. Feel free to arrange to meet here to buy, sell, or trade your items. Both our lobby and parking lot are under recorded video surveillance, 24 hours per day. No appointment is needed, no advance notification necessary. There won’t be an officer monitoring the transaction. Our intention is to provide a location where citizens can feel safe and comfortable in these types of situations, knowing that police are only feet away. If someone is unwilling to meet you at the police department to make your exchange, you may have just avoided a scam, or worse. The Grand Junction Police Department is always looking for proactive ways to clamp down on crime and partner with our community. We hope our citizens will find this service useful. Questions? Concerns? Let us know! Call (970)549-5114, or email heidid@gjcity.org. This entry was posted in GJPD News, The Insider on The GJPD Patrol and tagged Craigslist, gjpd, GVCopBeat, Safe Exchange Zone, ShareGJ.